A lot has changed in singer/songwriter Eilen Jewell’s life since her previous studio set four years ago. She moved from Boston back to her Idaho home (alluded to in this album’s title) and gave birth to a baby girl. Life deviations of this magnitude are practically guaranteed to reflect in Jewell’s songwriting and sure enough there is a slightly less frisky, more reflective slant to her approach over these eleven tracks. Although the sly, dry humor and jittery jazz/rockabilly that made previous tunes such as “Bang Bang Bang” so enticing aren’t entirely absent, they are considerably tamped down. Instead lovely, softer but no less tantalizing jazz/country dominates the playlist. Jewell is in wonderful voice using her Billie Holiday phrasing to infuse soul and emotion to the slow, sticky swamp of “Down the Road,” the sweet Neil Young styled country folk of “Some Things Weren’t Meant to Be” and “Here With Me”’s languid, sultry club noir. Longtime guitarist Jerry Miller whose reverbed lines have been such a distinctive element of Jewell’s music, especially live, is in fine form, particularly on the surfy/spaghetti western “Hallelujah Band” and the reserved rockabilly of “Rio Grande.” Lyrically Jewell keeps things close to home with “Needle & Thread,” a sweet country track about her father’s town, and “Half Broke Horse” that describes the titular animal caught between being wild and tamed, a metaphor for life’s larger picture. The closing “Songbird” finds Jewell stripped down to just a single acoustic guitar and Dylan-ish harmonica for a touching, entirely unpretentious tune to her young daughter. As usual, Jewell keeps her tunes tightly compressed with everything under four minutes and some even less than three. The twilight star lit sky with her silhouette featured on the disc’s cover reflects the more laid back, bucolic, introspective groove she follows here. 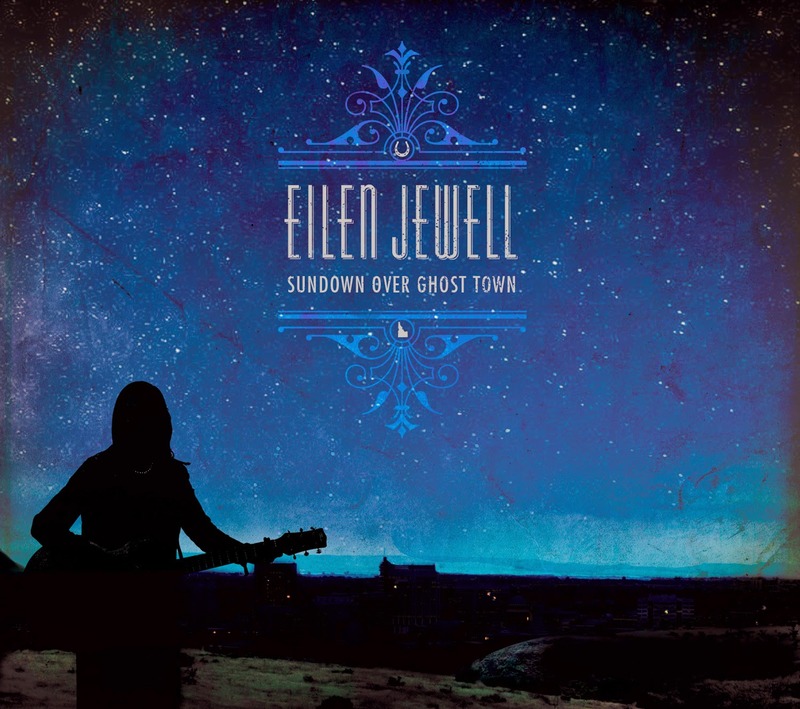 So, even though there are no peppy, rollicking “Shakin’ All Over” covers, this slightly restrained, beautifully crafted and enticing Eilen Jewell disc proves she remains one of American’s most intriguing, creative and idiosyncratic voices.